Should art only be accessible to the select few who can afford it? Should creative expression be hidden away in an art gallery? Creativity inspires us. Art evokes emotion and makes us #ThinkBlink. It engages us to challenge the status quo. So, why should art be relegated to just a gallery? There is a growing trend to take art to the streets. Guerilla art can invigorate a public space that is soulless. Adding art to a bland wall sparks some character into a neighbourhood. And if done well, that expression can leave a lasting thought-provoking legacy that will haunt your thoughts for a long while. It’s no wonder that some artists are motivated to take art out of galleries and into the hands of the public. But how does it happen? Especially since, most guerilla artists prefer to stay in the shadows. After all, it is considered by some to be an act of vandalism. But major cities around the world are recognizing the value to of graffiti art, and Toronto is no exception. StreetARToronto or StART is a pro-active program that aims to develop, support, promote and increase awareness of street art and its indispensable role in adding beauty and character to neighbourhoods across Toronto, while counteracting graffiti vandalism and its harmful effect on communities. 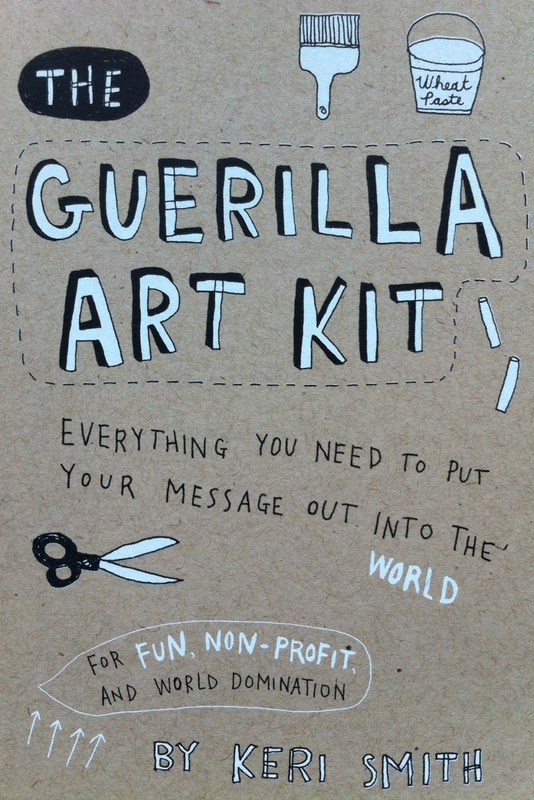 Keri Smith’s book The Guerilla Art Kit, gives you some insight into what you need to know before putting your message out into the world. Now we don’t advocate going on and destroying your environment, but perhaps this book will give a bit of insight into guerilla art and serve as a launching pad into your own ideas and methods. 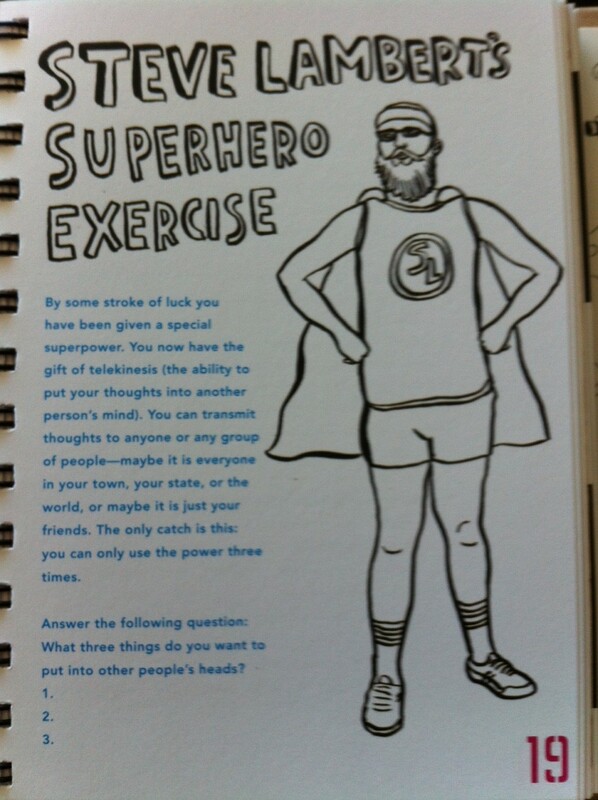 Try out some of the exercises intended as a prelude to a specific medium. 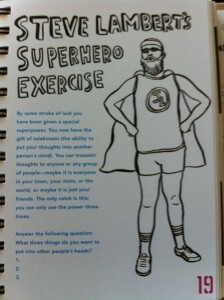 It will inspire some great campaign ideas for your advertising initiatives. Self expression is a good thing. Finding out what you want to say and being able to stay it with panache is an art in itself. 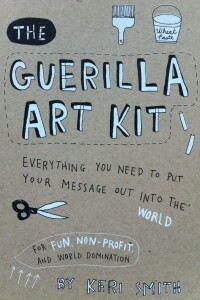 Guerilla Art kit by Keri Smith, is published by Princeton Architectural Press and distributed in Canada by Raincoast Books.